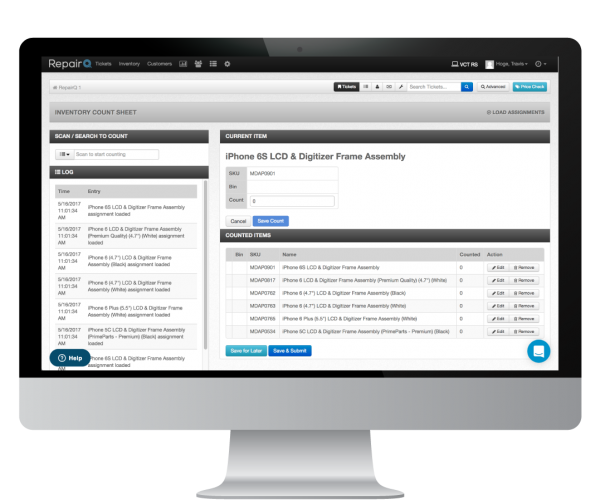 Want to see RepairQ's Inventory Management in action? There is no obligation with a demo and our technical trainers are prepared to answer ANY questions you have. Click the button ⬇ to set up a convenient time. Set a focus on efficiency with RepairQ’s comprehensive Inventory Management system. Help your team maintain fresh stock with first-in-first out handling, manage extra stock in warehouse or transfer from store-to-store, and know where every piece of inventory is going and why in a real-time environment. What can RepairQ’s Inventory Management do?